Happy Tuesday! It seems like January is flying by fairly quickly, mostly because we’ve been having 4-day weeks for the first half of the month. Now it looks like we’re heading into 2017 in the traditional calendar but also in the Lunar calendar. For those who are probably wondering what I’m talking about, this past Saturday marked the new year in the Asian calendar. Somewhat similar to Western horoscopes, The Chinese zodiac has 12 animals on a 12-year cycle, and this year is the year of the rooster. 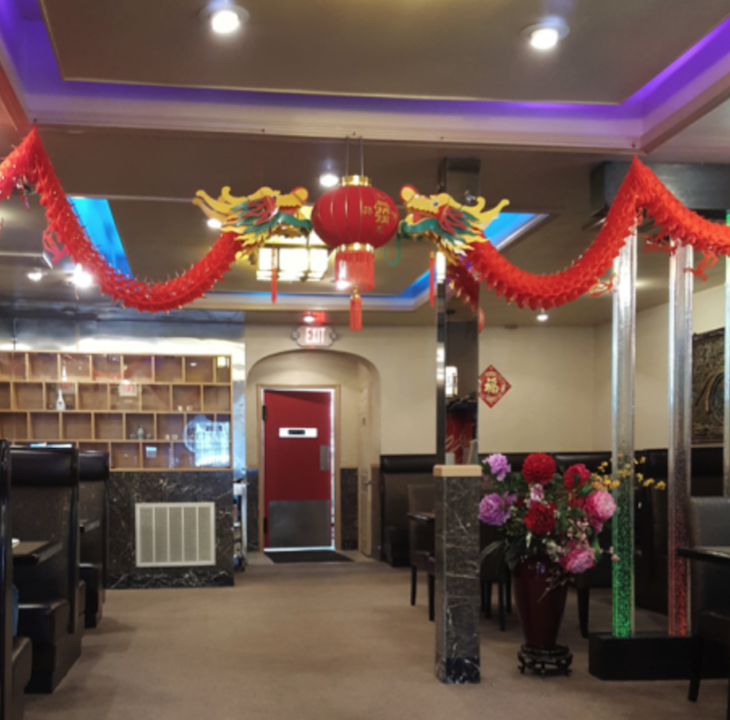 So what better way to celebrate it on Hillsborough Street than eating at a Chinese restaurant? Disclaimer: I’m not Chinese, but I do enjoy Chinese food. I got to head over to Jade Garden down the further north side of Hillsborough Street. 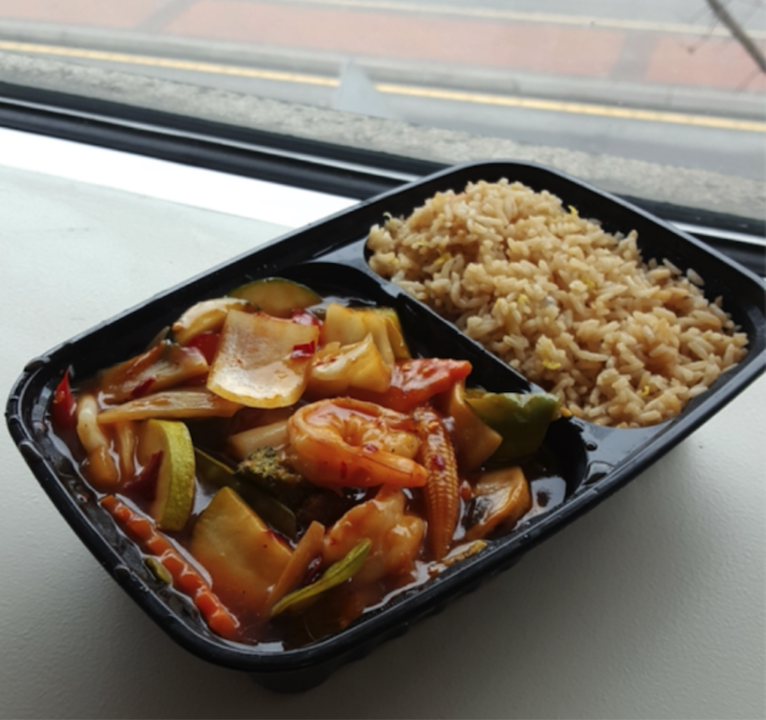 It was a trek from campus, but not an impossible one, and it definitely made the food taste that much better. The inside of the restaurant was small but quaint. They had a wall of mirrors so I could lovingly stare at myself whilst waiting for my order. There was also decoration or two for the big holiday coming up. As I was looking at the menu, I saw that there were the regular beef, chicken, & shrimp combos. Then I saw that they offer scallops, and that was where I got intrigued. I haven’t seen that many Chinese restaurants that offer scallops as one of their regular meat choices. Did I order it? No. Their lunch specials didn’t have any scallop choices, so I ordered the spicy garlic shrimp and veggies with fried rice, an egg roll, and hot & sour soup. The soup was pretty mild. I tossed my fried rice in the garlic shrimp and dipped my egg roll in the sauce. I’ve got to say, it’s not half bad. It was a good serving of everything and you get a lot for lunch so your stomach will be happy. 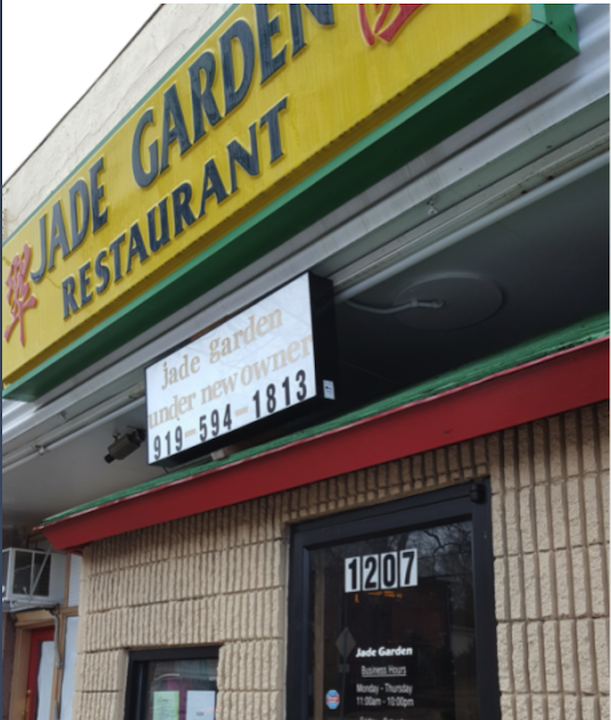 The Jade Garden is located at 1207 Hillsborough St. If you’re ever close to downtown Raleigh and are driving into Hillsborough Street on the way home, be sure to stop by. It’s a pretty chill place and the food comes pretty fast. I’ll probably stop by again just to try their scallop dishes! The Jade Garden is located at 1207 Hillsborough St.
Fri - Sat: 11:00 a.m. - 10:30 p.m.